Designing graphics is an art form, and all good art should be well rewarded. As a graphic designer you get to do what you love, but you still have to pay the bills and enjoy life, right? One of your main goals is likely to make more money with your designs in order to achieve this. Here we will tell you how to use vectors to earn more from every design you sell, to increase your worth and to tap on more commissions! We don't need to tell you about the pains of building a design from the ground up. You also know the amount of time it can take to make something small and simple yet necessary to complete your project. You know you need to deliver awesome, sometimes complex designs to boost up your value and earn more, but this takes time. And as you well know, time is money. Stock vectors are a great resource to produce professional and complete projects in less time, increasing the quality and value of your work while actually saving you time and opening up your schedule for more bookings! Want to learn how? Keep reading as we tell you how stock vectors can make you earn more cash with your designs. Why spend half a working day designing a small element when you can download it in less than a few clicks? Stock vectors can supply you with pretty much any graphic element you need, already created and ready to use. They can be found all over the internet, with many sites offering both free and premium vectors, and they can be easily found extremely cheaply (just check out Vectorfresh!). This combined with the huge amount of time you can save by not having to create all of the small details from scratch, the level of complexity you can add to your designs, and the speed you can deliver content to happy customers, can boost up your earnings both in the short and long term. You can find more info about what is Vector Art, here. I know what your next thought is: “So I have to spend money to make more money?” In short, that depends. You can find free vector resources with good quality graphics and commercial use allowed, but normally the offer is limited. Purchasing a high quality vector for editing into your designs is definitely going to give a notable difference in the finish than using a lower quality yet free vector. A higher finish means you can sell your designs for more money and with the savings in time you could take on more clients and increase your working output. If you get really clever you can get awesome stock vectors at dirt cheap prices, and as you can increase your hourly rate or per-project price, you will easily see its a win situation! How Do I Make More Money with Stock Vectors? The concept is as simple as one of the basics of business: buy low, sell high. But how does this apply to graphic design, and what do stock vectors have to do with it? 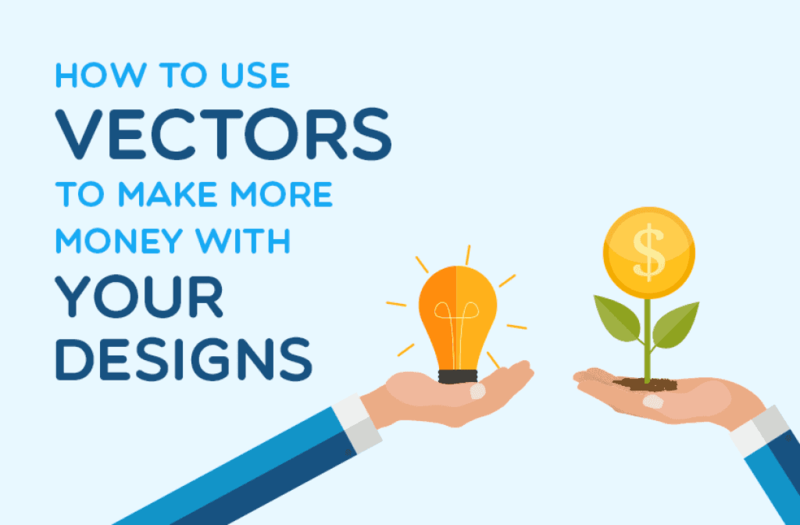 It's very easy: you buy stock vectors very cheap, and you use them to increase the value of your designs and the speed of your deliveries, which allows you to both charge more for your work, and take up on more commissions… and what does that mean? You guessed it, more money in your account! Get high quality vectors at the lowest possible cost. Your earnings-boosting plan will not work otherwise. The less you spend in stock vectors, the more profits you will have. Keep reading ahead to find the best and cheapest stock vector offer around! Invest wisely stocking up in advance. With stock vectors, the more you buy the less you spend in each download, and in more than one case you can seize an offer today and reap the rewards for months. You will learn how to do this, ahead! Use stock vectors to raise your design's worth. Use them to complete complex designs in less time. Combine them to create something new with stock resources. Use them to add a little extra visual boost to your project. This will let you earn more from each design, while making your customers happy and opening up your schedule to take up on more work, both of which can potentially mean more money in your pocket. A little down the road we tell you exactly how to use vectors to this end. See? Not difficult to understand and certainly not hard to do. Now that you have the idea, let's get into details. Where Can I Get Stock Vectors? As we said earlier, stock vectors are all over the web, and there's plenty of stock media houses including them, as well as of course services that specialize in licensable vectors. Among them, you will find premium vector services that you have to pay for, and free vector sites. Premium vectors come with a few benefits that you won't always find with free vectors. For example, premium quality vectors are created professionally, come hand checked for functionality and edit-ability with various vector editing programs such as Adobe Illustrator and its Alternatives and there is a huge amount of variety in what is on offer. The other important thing to keep in mind is your license to use said vector in your projects. Most free vector's do not come with commercial licensing, restricting what you can do with your downloaded vector to personal projects, however going down the premium route will grant you royalty free licensing, allowing you to use your vectors for whatever you want for as long as you want without paying any additional royalties to the original artist. One of your best resources for premium quality stock vectors has to be VectorFresh. With their exclusive, hand curated library of well over 1 million vector images available for download, your always going to find what your looking for, and their prices certainly won't break the bank! A constantly expanding library of over 1 million vectors of the highest quality! Your choice of 1200 images with no daily download limits (up to 100 per month)! The entire library is hand curated and checked for quality and software compatibility! All vectors downloadable in original EPS file! Full tagging on all vectors and built in search functionality! 30 day money back guarantee, for your peace of mind! Read our dedicated VectorFresh review for more info on the service and Early Bird offer. And if you're ready to get premium vectors for dirty cheap prices, visit Vectorfresh here! 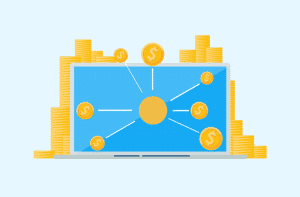 If you cannot invest a little in premium vectors at first, or if you would like to test how well they work for you before actually spending, you can also get a hold of free vectors. In most cases, these are of lower quality/amateur made, and the license they come from can be very restrictive, allowing for personal use only, or putting a lot of conditions for commercial use. Over 4,400 high quality free Vectors! All downloadable ZIPs with fully editable EPS and high res JPEG files included! All files hand-checked for compatibility with Illustrator and other popular Vector Editors! Including results from Vectorfresh to compliment your personalised search! To learn more about this great free service and the reasons behind its creation, read our Vectorain review. And if you want to grab some free graphics right away, check Vectorain here! Using stock in your designs isn't all about the short term gains, there's a long ball game to play here too, through taking advantage of coupon codes, discounts and special offers, grabbing extra vector resources to use in the future can be a fantastic way to ensure your constantly saving money. The fantastic deal offered by VectorFresh is a great example, offering a huge 55% discount off the normal price of a 1 year subscription and if you buy it now, you keep the early bird price for as many years as you decide to continue your subscription. Few opportunities are as good as this to get premium stock vectors at insanely low prices. And at VectorGuru we always have more than one answer. If you check our awesome Coupons section, you will find several special coupon codes with discounts and bonuses for the best stock vector agencies around! Many of them do not expire quickly, allowing you to stock up with vectors that you can later use when creating new designs. Use stock vectors as additional components to create complex, detailed designs. In many cases, the value of your work will be more visible in the details. A non-savvy client may not appreciate the hours you dedicated to what in appearance is a simple illustration, but if you deliver a complex design that includes your custom illustration on a cool backdrop with lots of additional background elements, the result is both more professional and more impressive. Of course, designing all these details yourself would mean tens of extra hours you could not charge your client for, but if you use stock vectors and you customize them into your work, you will get exactly the same effect, with virtually no extra effort! Combine stock vectors to create one bigger, custom design. And don't feel guilty about it! Maybe you have a great idea in your mind and want to quickly piece things together. If you want to complete a design quickly, you can mix different stock vector elements and add your original touches here and there to have one bigger, unified design in much less time than it'd take to create everything from scratch. Let stock vectors be the extra boost in your designs. More than once your beautifully created custom work would be significantly improved just with a touch here and there. A small graphic element, a nice font, etc. And why to commit extra time you will not be paid for in doing so, when you can use stock vectors and achieve the same perfectly finished look in no time? Remember, customization is important to avoid the “stocky” look and the minimal risk of finding the exact same element in another designer's work. And this is no problem as stock vectors are fully editable. Always make tweaks and changes to your vectors to ensure they integrate well with your custom work and they feel “yours”. Learn some tips on how to edit stock vectors! With these methods you will grant that stock vectors contribute to make your work more complete, more professional… and more expensive. You will be able to charge a decent amount for your services and your designs, and at the same time your time saving will let you take up on more clients. Let's not forget also that happy customers tend to return to you with more projects, and to recommend you as well! Considering the little money you spend to get high quality vectors at sites like Vectorfresh, if you follow these tips you can potentially increase your incomes by much! Here we are focusing in the ways stock vectors can put more money in your pockets. But all the advices we gave you have a great added benefit, as they simplify your workflow and save you some of the hassle of the creation process. Not having to design everything from scratch saves you time. For your goal of increasing your earnings it's wise to invest this time in new projects for new clients, but you can always simply enjoy the looser time frames to work more relaxedly. Plus, stock vectors make it a lot easier to complete certain designs, avoiding you the extra effort of designing additional components, for example. And who doesn't like to do what their love, in an easier and less stressful way? With a simple, yet well-thought strategy, stock vectors can help to add some serious numbers to your bank account, helping you to free up more time to take on clients or to do the other things that you love. With services like Vectorfresh it's easy to tap on thousands of premium quality vectors for as little as 4 cents each, and to use them to raise up the value in your custom work, making it even easier to increase your profitability. Are you ready to see your earnings going up and giving stock vectors a try? Check out Vectorfresh today! Happy designing… and happy earnings!